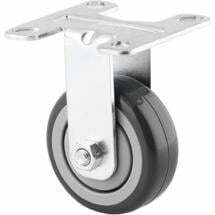 Tente's robust castors are used on flightcases, but also in hospitals and in the worlds of logistics and industry. 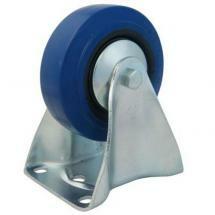 The wheels come in various editions for different applications. 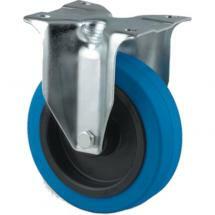 You can make practically anything mobile and roadproof with these Tente wheels. 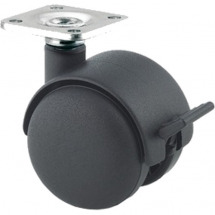 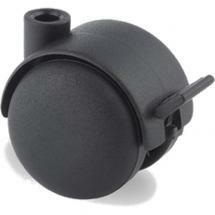 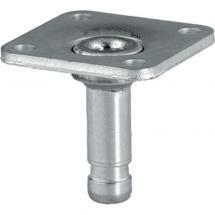 This swivel castor is ideal for mounting to a case or piece of DJ furniture thanks to the handy mounting plate. 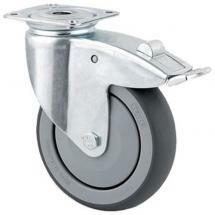 The castor is 80mm high and you can easily ride over the edges of the pavements and over other bumps. 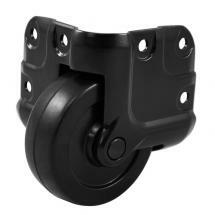 The castor is 35mm wide and made of durable black rubber. Its load-taking capacity is 70 kg per wheel. 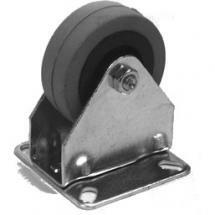 The build-in height is only 108mm, which is not a lot considering the dimensions of the wheel.